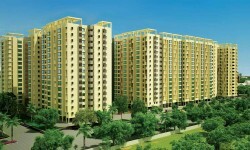 Navallur: This is the locality where you would find the highest number of options in your budget. Located in south of Chennai, Navallur lies close to the OMR Road that is home to many information technology (IT) companies, technology parks and industries. The development along the OMR Road has led to more and more people looking for residential options close by, in both affordable and premium price range. The locality, where average property price stands at Rs 4,260 per square foot (psf) has 11 projects available in your price range. One could buy 3BHK, 3BHK+ and 4BHK apartments being offered by developers, including Housing of Hiranandani, South West Developers, Emami Infrastructure and Olympia Group. The locality has a livability score of 7.2. Mogappair: With property prices rising at a rate of 9.6 per cent in past one year, Mogappair has emerged as a top destination for investors planning to put their money into Chennai real estate market. The residential locality, located in north-west of Chennai, is surrounded by prominent neighbourhoods such as Ambattur, Padi and Koyambedu. Property in this locality can be bought for a price of Rs 6,230 psf with nearly nine projects offering 3BHK apartments within the price range of Rs 1-1.5 crore. Developers offering these projects are Landmark Constructions, Arihant Foundation and Housing, Brigade Group and Nova Life Space. The locality has a livability score of 8.8. Perungudi: Perungudi is a residential locality with a livability score of 8.6, making it apt for dwelling purposes. Lying 10 km from the city centre, Perungudi enclosed by the city’s OMR road that houses prominent IT companies and industries. Since it is a well-developed locality, homebuyers have to pay a premium price to buy property here. A psf of area in the locality would cost you over Rs 7,200. If you have a budget of Rs 1-1.5 crore, there are nine projects you could invest in here and buy apartments in 2BHK and 3BHK configurations. These apartments are provided by developers, including Indira Projects, Krishna Constructions, BBCL, Ramaniyam Real Estate, among others. Velachery: Another renowned residential locality located in the south of Chennai, Velachery is a premium real estate market well-connected to the IT corridors on the OMR and to the business areas in the city centre. A livability score of 9.2 makes this locality apt for those planning to set up a home here. Property here is available at a premium psf price of over Rs 9,000. In a budget of Rs 1-1.5 crore, you could invest in eight projects offering apartments in 2BHK and 3BHK configurations. Some of the prominent developers offering these premium apartments are Natwest, Esthell Homes, Maaruthi Foundations and DRA. Sholinganallur: Reaping the benefits of lying close to many IT parks in the south of Chennai, Sholinganallur, with a livability score of 7.6, is home to the city’s young working population. The locality that lies in proximity with IT parks such as PSBB Millennium, Siruseri IT Park and Gateway International will soon have a Financial City here which will be developed by the state government’s Tamil Nadu Industrial Development Corporation (TIDCO). These developments will further boost the property demand as well as the prices here. At present, one could buy a psf of area for Rs 5,120, making it one of the most affordable markets in the city. Apartments in the configuration of 2BHK, 3BHK and 4BHK could be bought in the price range of Rs 1-1.5 crore in seven projects being developed by Sobha Limited, Appaswamy Builders, Casagrand Developers and Lancor Holdings. Note: Livability score has been complied by PropTiger.com.